Crohn’s. Lupus. Autism. ADHD. Food allergies. Celiac disease. Sjögren’s syndrome. Polymyalgia rheumatica. Multiple sclerosis. Anklyosing spondylitis. Type 1 diabetes. Vasculitis. Peripheral neuropathy. The list goes on, and on, and on. We are being increasingly diagnosed with these conditions and diseases of unknown origin, and science has very little to say – why would autoimmune diseases and mysterious diseases of inflammation be so prevalent? When did this increase start? Something changed dramatically in 1976. 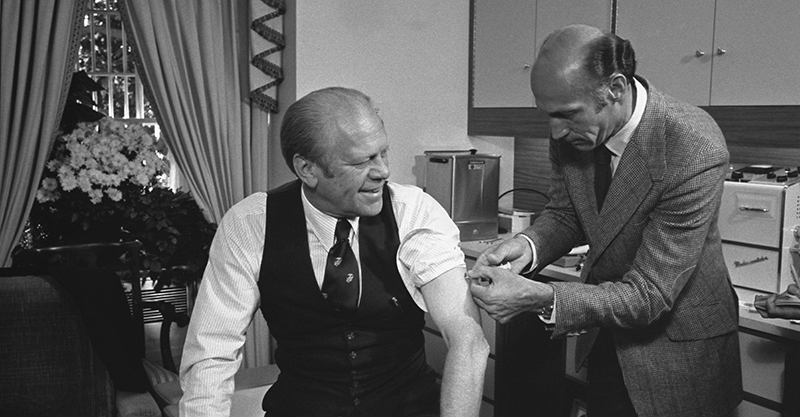 What changed was national mass vaccination against influenza. I am so thankful for this article! Now could not be a more perfect time for this to be published. There is such an overwhelming smell of "man-made agenda" in this year's flu crisis; I feel it was created in order to further open the door to mandatory vaccination in the U.S.
Too many otherwise healthy individuals have died this year from the flu and/or its complications - many of whom received this year's flu vaccine. Yet there is no accountability, no investigation, and it appears no stopping this monster called vaccines. We have had schools close in our state in order to slow down the episodes of children who were contracting flu from other children - hospitals having to turn away patients due to lack of available rooms. We walked into our orthopedic doctor's office last week and the receptionists were wearing mask! Crazy! I just wonder how many of those who received the flu vaccine developed the flu, how many family members contracted the flu from being exposed to those who received the flu vaccine and why are people still allowing those vaccines to be injected into themselves?